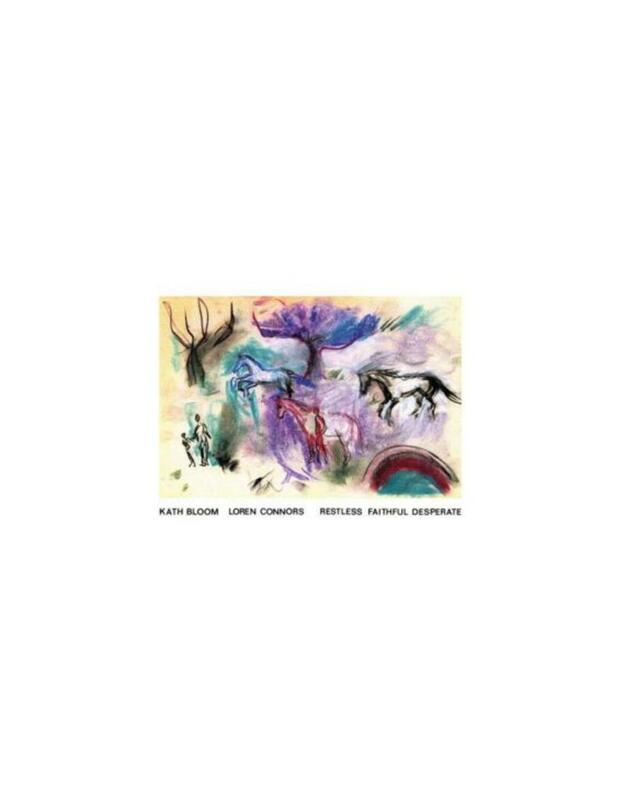 The extraordinary creative partnership of New Haven, CT duo Kath Bloom and Loren Connors has haunted psych-folk fans since the early 80s. Kath taught herself guitar during shifts as a janitor at a New Haven cemetery, while Loren’s free-form idiosyncratic style had been developing since the late 60s. Between 1981 and 1984, the duo recorded two live and four studio albums, mostly self-released in tiny quantities. Early on, their music mixed folk and blues traditionals with a handful of Kath’s vulnerable, moving originals. By the later albums the songs were all Kath’s – her fragile voice and subdued finger-picking set against Loren’s abstract but always supportive playing. Together the duo created a sound almost impossibly emotional and haunting. Restless Faithful Desperate emerged in 1984, in an edition of 200-300 copies. As her creativity accelerated, Kath’s songs became looser and more intuitive, but Restless contains one of her most gorgeously realised compositions, Look at Me. Loren’s long-term collaborator Robert Crotty contributed electric guitar on a couple of tracks. By 1984, however, Kath was married with a young son, and Connors was entering a new relationship, so the duo found themselves drifting apart. Kath did not release anything again until a 1993 solo cassette Love Explosion, but then developed a devoted cult following through the pivotal use of her song Come Here in Richard Linklater’s 1995 film Before Sunrise. 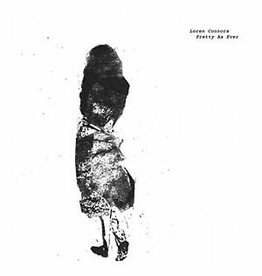 Kath has since released three solo albums on Chapter Music (Finallyin 2005, Terror in 2008 and Pass Through Here in 2015), as well as the Bloom tribute album Loving Takes This Course, featuring covers by the likes of Bill Callahan, Mark Kozelek, Devendra Banhart, Josephine Foster and many more. She has also recorded two albums and an EP for Mark Kozelek’s Caldo Verde records. Loren also retreated from music for a period until re-emerging in the late 1980s. He is now recognised as a pioneering guitar explorer, and has worked with the likes of Thurston Moore, Keiji Haino, Jim O’Rourke and many more. After reissuing four of Kath & Loren’s landmark albums on CD in the late 2000s, Chapter now embarks on the first ever vinyl reissues for these remarkable records. Expect more volumes in early 2019. This album includes a digital-only bonus track of 1982 compilation track Tell Him. Each LP will include digital bonus material.